Trading floats for art, we’re telling the stories of creative minds and their float experiences. It’s a collective meditation on floating; something that is deeply personal to each individual. Every artwork sheds a little more light on the benefits of tuning in. 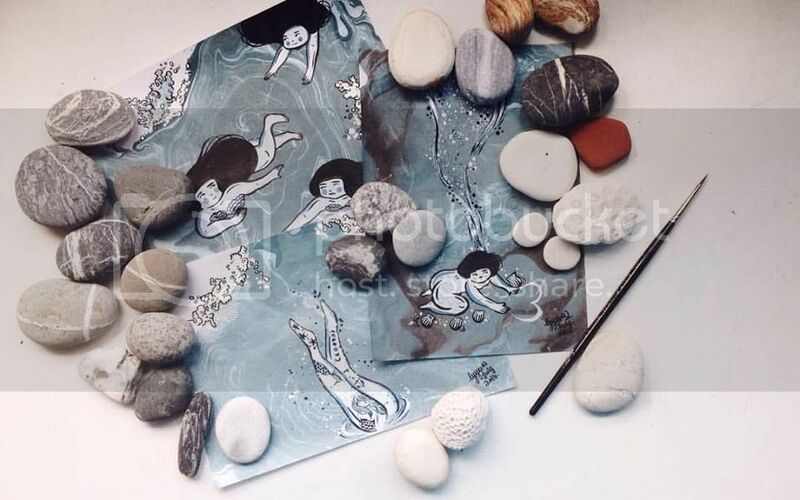 We felt a special affinity with Ly Yeow’s work, because water and dreaming are a common theme. By day, she teaches children art. She’s also in the midst of setting up her new home and transforming part of it into a studio. 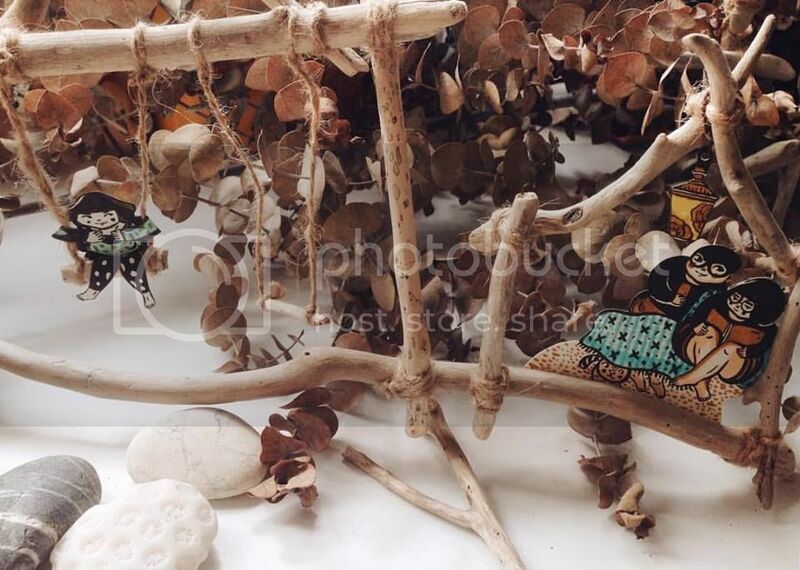 You might also have seen her recent work for local secondhand furniture company, Hock Siong. It surprised us to know that Ly only started drawing 4-5 years ago. When asked to describe her style, Ly mentioned that she does not see herself as an illustrator, because all her works are emotive and more like a personal visual diary. Ly’s favourite project is a series based on the theme “Wanderlust”. 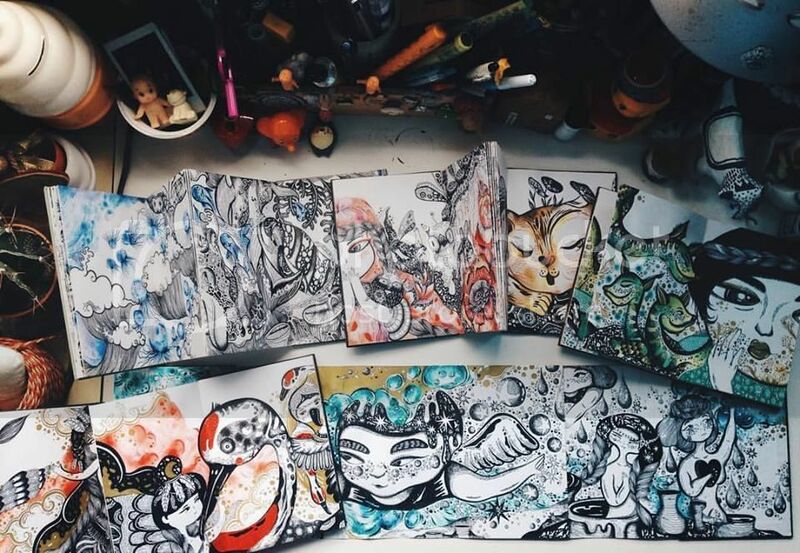 Each pocket sized sketchbook uses an accordion fold and opens up to almost 2 metres long. She’s completed four of these books over three years. 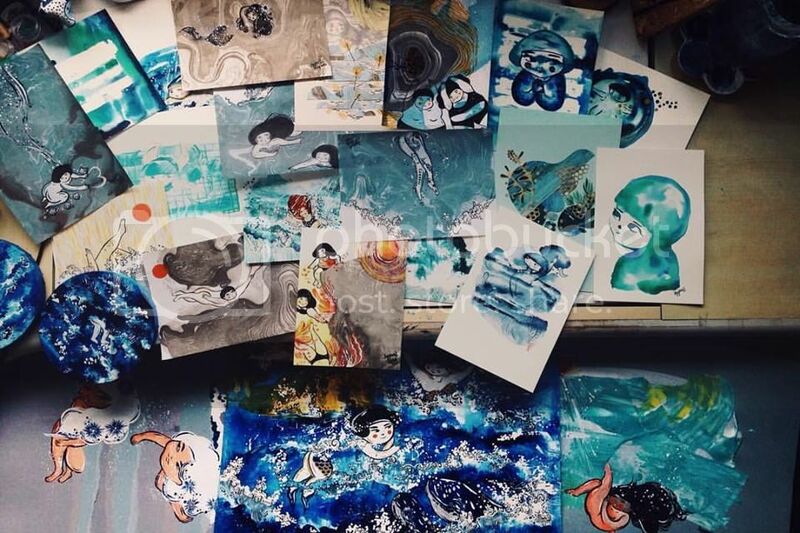 Each explores different realms such as underwater, land, forest, and the sky, documenting her mind’s journeys to far-away and sometimes imaginary places. Ly gets her best ideas when surrounded by nature, especially by the sea. In her artwork, Ly chose to focus on light and darkness in the context of the float pod. View more of Ly Yeow’s work here.